As the rest of the country slogged through the economic downturn of 2008-‘09 that included the bursting of the so-called real estate bubble, the conventional wisdom was that the Texas economy, thanks to its heavy reliance on the then-robust oil and gas sector, would emerge largely unscathed. While Texas residents on average didn’t suffer as badly as people in other parts of the country, there was always a sense that eventually the laws of economics would catch up with the Lone Star State, and that day seemingly arrived in February when the Houston Association of Realtors’ (HAR) monthly home sales report indicated the area saw its first decline in home sales in over six months. The report indicated that limited housing inventory, rising home prices and a drop in oil prices contributed to the 5.8 percent drop in single-family home sales over the previous year’s figures. The housing market in the Bay Area Houston region was not immune to the dip in sales, and Pam Archer with RE/MAX Space Center, says the drop was not entirely unexpected. Just as quickly as the home sales figures dropped, they rebounded in March, with the HAR report indicating sales rose 3.8 percent over year-ago figures, as many buyers snapped up newly listed homes before they ever had a chance to replenish the local housing inventory. In the Clear Lake area, there were 94 homes sold in March compared with 73 sales in March 2014 and the average price increased from $237,000 to around $265,900 this year. Other areas of the region saw similar increases. In League City, 169 homes were sold, compared with 159 last year and the average price rose from $223,116 to $254,153. Pasadena saw 63 homes sold (51 in 2014), but the average price dropped from $126,724 to $118,166, while 57 homes were sold in Friendswood (55 in 2014), with the average price increasing from $223,116 to $254,153. Overall, 734 homes have been sold so far in 2015, while 770 had been sold last year at this time in the Bay Area. But even as more people are looking to buy homes, Archer says there remains a dearth of available properties. HAR Chair Nancy Furst agrees with Archer’s assessment and says while realtors were certainly happy to see sales figures increase in March, the market is still in a somewhat volatile state. “It was great to have sales back in March after February’s decline, but in order to satisfy the long-term needs of the Houston housing market, we need to see substantive growth in inventory levels, which remain at record low levels. 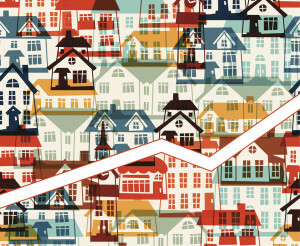 Typically, a five-to-six-month supply of homes is indicative of a balanced market,” Furst said. Keith Owens, with Better Homes and Gardens Real Estate Gary Greene in Clear Lake, believes the region’s multi-faceted economy will help it regain solid footing more quickly than other areas. Owens has seen an increase in activity with regard to home buyers, but even that increase is a double-edged sword for realtors who continue to struggle to find available homes to show to prospective buyers. He says homes that were difficult to sell in 2013 and ’14 don’t last a week on the market now once they are listed. But while the current market is a tricky one to navigate for buyers and sellers, Owens, who began selling homes in the region six years ago, says his perspective makes him optimistic about where the market is headed. The lack of housing inventory has a ripple effect on the market, Archer says, because it not only affects individual buyers and sellers, but home builders as well. She says the area is seeing an upturn in new construction, particularly on the Galveston County side, which is a welcome development because the low inventory created a market in which home builders had little incentive to build new homes. “Around Clear Lake itself, we’re seeing an increase in first-time buyers looking to buy in the $150,000 range and for a while those were depressed because that’s where we saw a high percentage of foreclosures, but that’s a thing of the past,” Archer said. Owens says areas like Bay Forest that feature older homes built in the late 1980s are witnessing a re-birth of sorts in terms of home values, while developments like Tuscan Lakes and MarBella have become increasingly popular. He says the Bay Area region features a healthy mix of home values, ranging from around $100,000 upward to over $1 million, but he says the $300,000 to $400,000 range is the most popular segment in the current market. “We can see the demand increasing in the size of homes selling,” Owens said. “While smaller homes of around 1,600 to 1,800 square feet were quite popular, now just about all of the homes selling are 3,000 square feet and up,” Owens said. The consensus among realtors seems to indicate that the current rise in average home prices will continue in the region over the rest of the year, but a significant rise in inventory won’t happen overnight.